The Star Carrier series is a series of military science fiction novels by American novelist Ian Douglas (William H. Keith). The series follows the officers and crew of a space faring spacecraft carrier, similar to Battlestar Galactica. 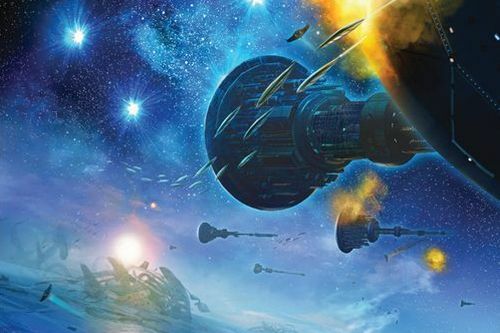 Star Carrier Synopsis: Earth Strike by Ian Douglas (aka William H. Keith) is book 1 of the Star Carrier series. The novel brings the reader into a major space battle, where humans are trying to take down an evil empire in order to establish themselves as the superpower.